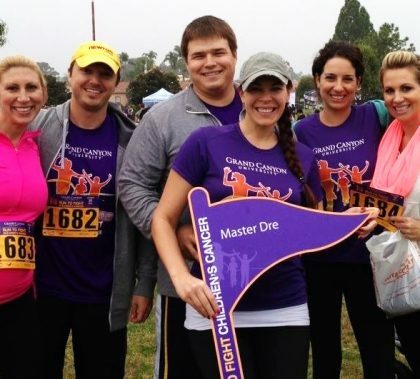 Andrea Hogan, an assistant professor of psychology in the College of Humanities and Social Sciences, is devoted to the GCU Foundation Run to Fight Children’s Cancer. How devoted? She actually ran in it, with her bridesmaids, on the day of her bachelorette party. And she’s never missed one. What’s the first thing people think of when they dwell on your reputation? 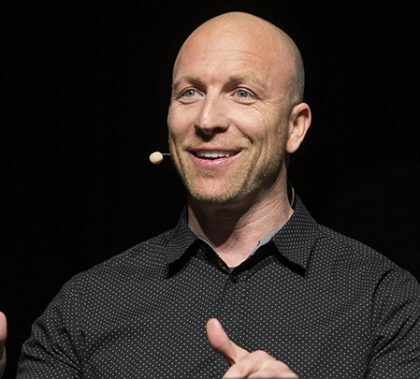 Dustin Tappan of Christ’s Church of the Valley told Chapel on Monday that your faith needs to be at the top or right near it — and it’s a daily challenge for all of us to keep it there. 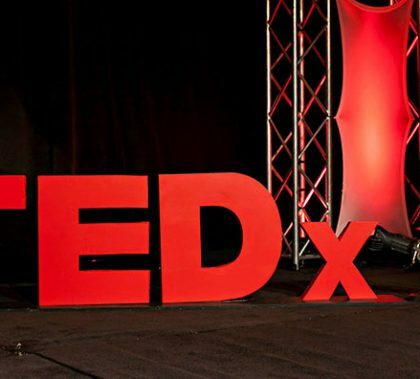 GCU’s first TEDx is just about here, and there’s still time to be among the expected crowd of 4,000 Thursday at the Arena. 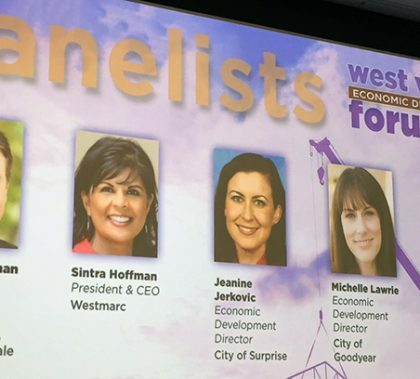 The all-day event will feature 18 speakers covering a wide range of topics for what could be a global audience. Photos by Brandon Sullivan GCU News Bureau The Grand Canyon University men’s basketball team extended its winning streak to six games with an 84-77 victory over Missouri-Kansas City on Saturday night at GCU Arena. Seniors DeWayne Russell and Darion Clark were honored on Senior Night. GCU’s Speech and Debate Team had one of the smallest entries with only four members but earned third place overall in the Bronco Bash “Swing” tournament at Hastings College in Hastings, Nebraska. At the same time, the University hosted the Arizona District Congress Tournament National Qualifier on Saturday. On March 17-19, GCU will hold the Christian College Forensics Invitational tournament. Photos by Brandon Sullivan GCU News Bureau Grand Canyon University alumni returned to campus Saturday for a day that included a brunch, a golf tournament, the Hall of Fame induction ceremony, the Kick-Off Party and a tailgate before the basketball game that evening. There even were go-kart races. 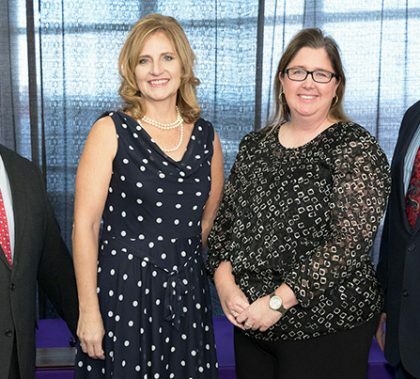 Five highly regarded Grand Canyon University graduates with remarkable careers and a strong record of giving back to the community were inducted into the GCU Alumni Hall of Fame on Saturday in a stirring ceremony that invoked laughter, the Bible and tears. Photos by Slaven Gujic GCU News Bureau The tailgate, pregame fireworks, honoring military members including Luke Air Force base leaders Brook Leonard and Randall Kwiatkowski, plus free T-shirts and flags made the “God Bless America” theme to Thursday night’s men’s basketball game an honorable success. Then a raucous crowd – including Cardinals quarterback Drew Stanton – watched the Lopes cruise to an 82-59 victory against Chicago State for the Lopes’ 20th win this season. GCU’s final regular season home game is Saturday night against UMKC. This week’s edition of Antelope Intros features a marketing project specialist with way too many photos of one special guy she loves to show off. The other is a field experience counselor who is always chasing fun.